I think anyone of ancient European or Middle Eastern descent has an old family recipe for stuffed cabbage leaves. It’s a dish that’s simple, satisfying, and doesn’t cost too much to make…you see, it’s peasant food, and I have to say, they sure knew what they were about! Amazing flavors from simple ingredients. 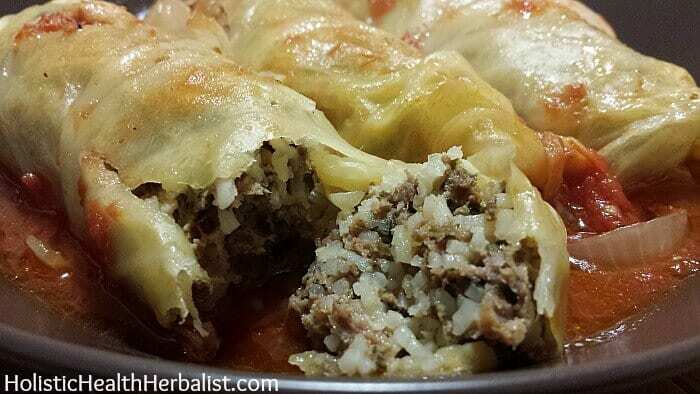 Stuffed cabbage leaves are simple to make, and whether you’re more or less a bit confused about its origins whether it’s from Russia, Ukraine, or Armenia, among many others, the recipes use similar ingredients; ground beef, a bit of long grain rice, and spices all wrapped in cabbage leaves that are rolled into perfect little parcels. And let’s not forget that these get smothered in a rich and delicious tomato sauce and beef stock combination to add even more punch to a dish you may think lacks flavor. Let me take your apprehensions away. This dish is delicious! Makes about 10-12 cabbage rolls. • 1 28oz jar of crushed tomatoes fire roasted ones are particularly delicious! 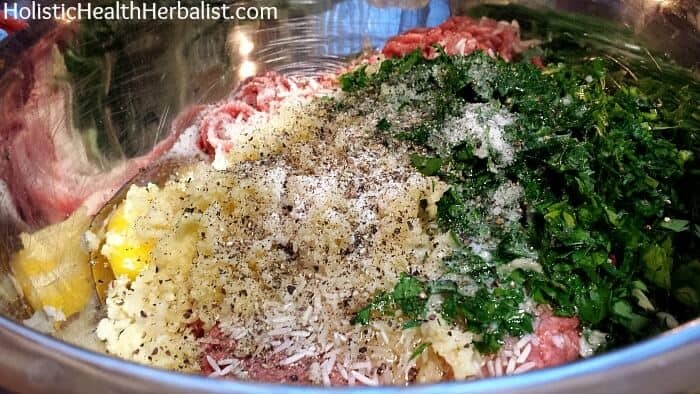 • While you’re waiting for the water to boil, put the ground beef, rice, egg, melted butter, parsley, garlic, salt, pepper, cayenne, and Worcestershire sauce in a large bowl. Now that your water is simmering away, it’s time to get the cabbage ready. 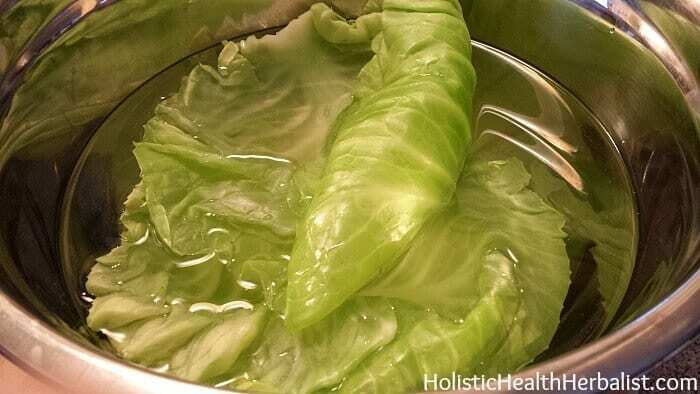 Make sure you have a large bowl of cool water near the stove to place your cooked cabbage leaves in. Very important otherwise they will overcook and become too soft for rolling! • If the outer leaves look a bit ragged, feel free to peel them off. You need whole leaves. 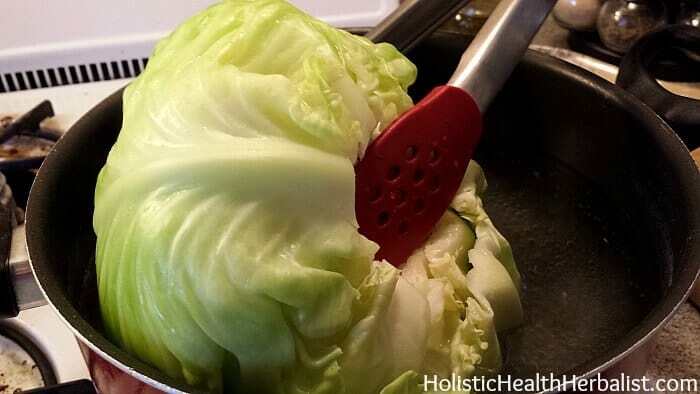 • Now, taking a pair of tongs, gently lower the WHOLE head of cabbage into the pot of simmering water. It sounds a little crazy, but trust me. Magic will happen! 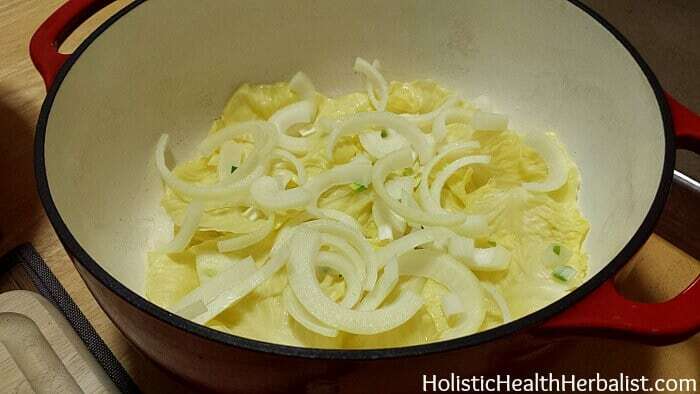 • Keep repeating this process, gently and carefully rotating the cabbage in the pot until all the leaves are done. If you ripped a few, that’s okay! We’re still going to use them. 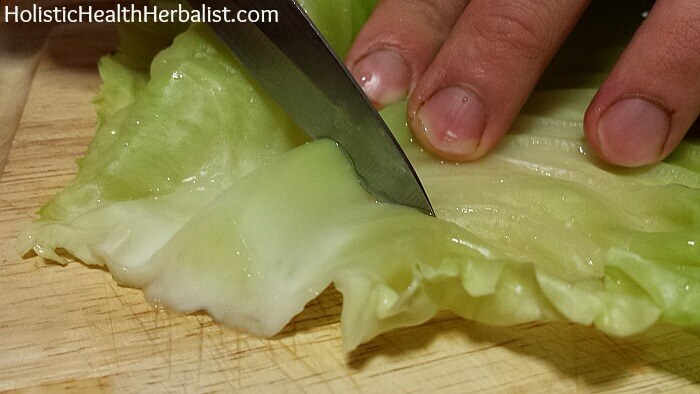 ***If you don’t trim the stem you won’t be able to roll the cabbage and you will end up with cabbage and meatball soup, which will probably taste amazing anyway. • Be sure not to roll these too tight or they might pop during cooking! Now that you have your rolls assembled, it’s time to get them in the dutch oven. 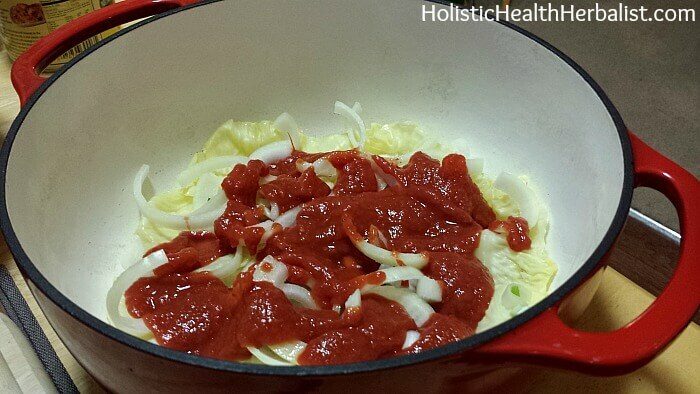 • Now pour in the beef stock plus a little water if needed in order to JUST submerge the cabbage rolls. You will notice that they will float. Kind of annoying, but there is no avoiding this which is why we check these babies in 1 hour. • Once the timer goes off, take the pot out and check the rolls. Pour in a bit more stock or water if needed and try to submerge the rolls and cook for another hour. I almost always need to add more stock at this point. If you can’t submerge them, very gently rotate the rolls at the top to ensure that they don’t dry out. You want to make sure the rice gets cooked too. They’re finished! I know it took 2 hours but believe me, it was worth it! 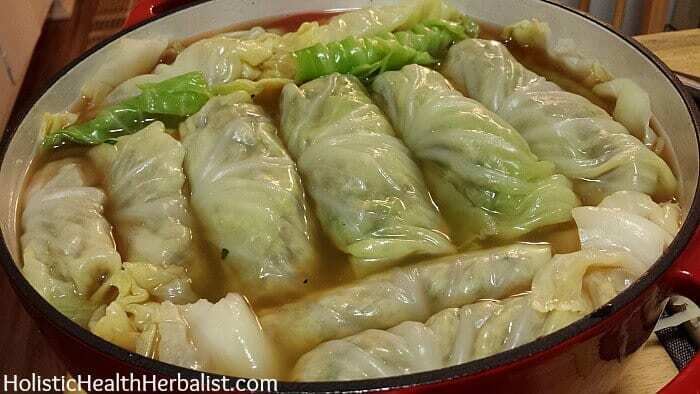 • Gently plate a few stuffed cabbage rolls and spoon over some broth. Enjoy! Find more delicious cabbage recipes HERE. Can I make the recipe without rice incident. Wanted to serve with rice. Would that change the cooking time process? I have never made this recipe without rice before, so I am not sure how it will affect the recipe exactly. I think it would still come out delicious! What is the ‘Spring Water’? Thank you. My family is from the Serbia/Yugoslavia region and a little Polish.. Just had this meal the other day except ours is called “Sadama”. 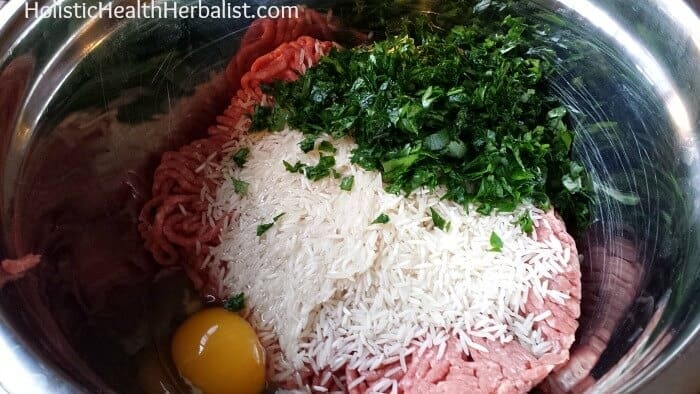 It is made with half ground pork half ground beef for the meat. The pot is also filled with lots of sour kraut and the main spice is Paprika. It’s such a delicious meal.. It’s definitely a specialty in our family as my great grandma passed it down to my father who is teaching my husband and I how to make it. Your great grandmother’s recipe sounds delicious Shaelyn! Can’t wait to try the sour kraut version! We do Cabbage rolls in Bulgaria. It is one of the favorite meal / prepare from me / for all off my american friends. My favorite too. Only before we staff the leafs we cook the meat and the rise for a little bit . The Lebanese style uses cinnamon as a spice. My Lebanese mother-in-law taught me to put a plate up-side-down on the cabbage rolls, cook 1 1/2 hours and then 15 minutes before done, remove the plate and add lemon juice. You can put the plate back on top of the cabbage rolls. The plate keeps everything together and prevents floating. She didn’t use so much liquid though. I’ve made something to these, but instead of the bad leaves on the bottom, try a layer of sauerkraut & some Italian Sausage. Continue laying like this, til rolls are finished. Also, we boiled the stock/water before pouring on top, seemed to give the rice a head start. 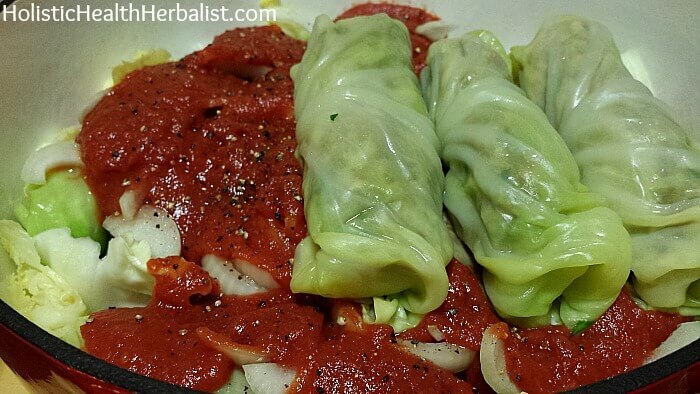 Now I’m getting craving for stuffed cabbage rolls, gonna have to make some soon! Can I make them a day or so ahead ,and then cook and add sauce when ready to cook them? I don’t know the origin, but I was first exposed to Cabbage rolls during Octoberfest at a German restaurant. My Mom loved these and my husbandused to make them on a regular basis for her! We miss you, Mom!!! My mother was German, She made it similar to the Hungarian way. I started putting a little Cream Cheese in mine. We also cooked the rice prior to adding it to the meat mixture, you didn’t specify. I used uncooked rice! I’ll be sure to revise the article. Thanks for pointing it out =) Also, the cream cheese sounds amaaaazing! 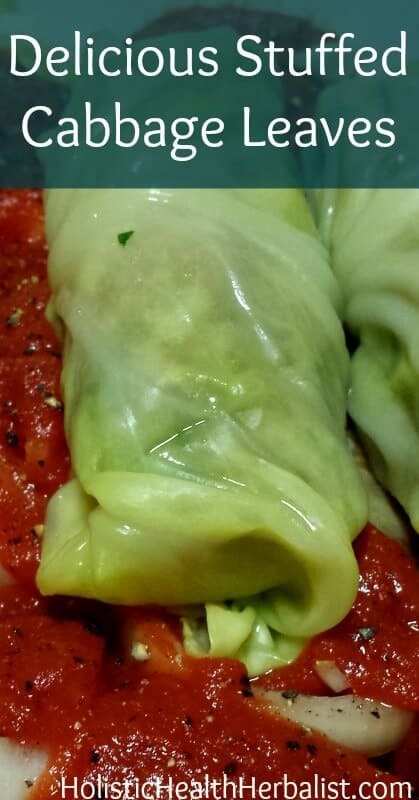 Sounds really yummy-I read a post once where they cored the cabbage and then froze it thawed it and then done the rolls….I might try both ways to see which way I like best> Thanks for the wonderful sounding recipe! That method sounds interesting! I might have to try it out. I am a big fan of Lamb, would that be a good meat substitution in this dish? 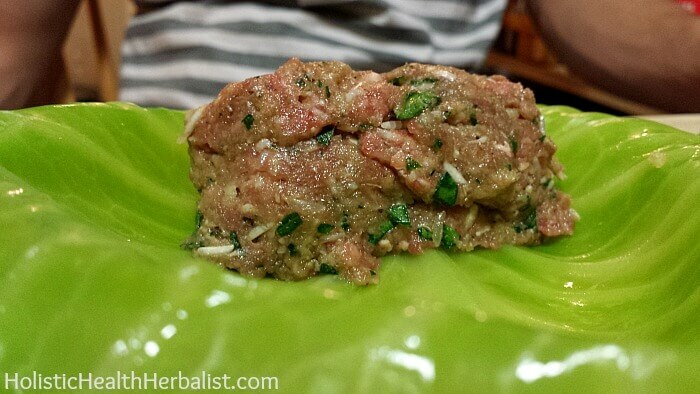 I have used Lamb and it was awesome, as long as you love Lamb meat. I DO love lamb. I can’t wait to try it! It’s also in the Polish cookbook!